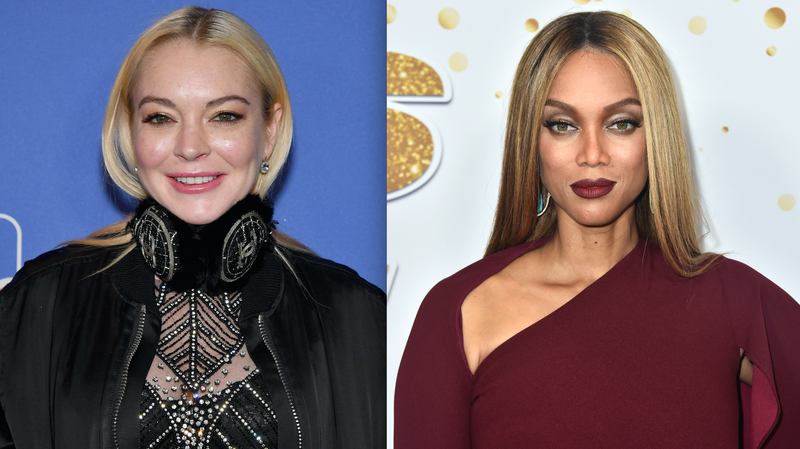 Life-Size, the 2000 Disney Channel original movie starring Tyra Banks as a living doll and Lindsay Lohan as a grieving tween who brings her to life, is getting a sequel this holiday season as part of Freefrom’s 25 Days of Christmas programming. The catch: Lindsay Lohan won’t actually be there. Or will she? I’m stuck on: “[Lindsay] will be in the movie in some kind of way.” What could that mean? Lohan has been living it up in Mykonos and is probably too busy dancing to her 2004 banger “Rumors” for club-goers to show up for a movie that is now somehow going to be filmed, completed, and ready to air in the three months before Christmas. She’ll pop up in the background of a few scenes as a cardboard cut-out. Francia Raisa’s character, clumsy and desperate to “learn to live and love again” (Freeform’s words, not my own) trips over said cut-out. Their eyes meet. They fall in love. Raisa’s character, with the help of Banks’s, brings Lohan to life (through CGI?) Then they go to Mykonos. She’ll FaceTime with Tyra’s character. She’ll appear as a hologram on FaceTime. Raisa’s character will mourn a recent breakup by watching the original Life-Size STARRING Lindsay Lohan.